Every Saturday and Sunday at 2:00pm with a Matinee on Sundays at 11:00am April through October. • No reservations required. Our knowledgeable guides will design a tour around the interests of the attendees. Every tour is different so come back as many times as you’d like. 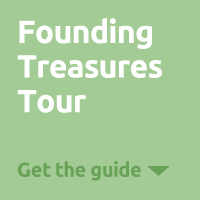 These seasonal guided tours take the place of our regularly scheduled tours. 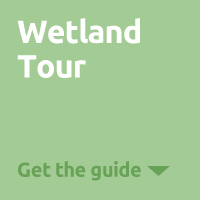 Join knowledgeable guides for an all new walking tour highlighting garden features not often discovered on an average visit. The original Hidden Gems tour was so popular that it is returning this season with MORE! 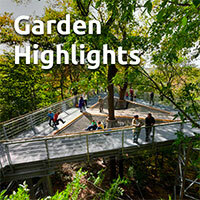 Go off the beaten path to find unseen garden gems, a combination of structures, sculptures, spaces, trees and vistas. 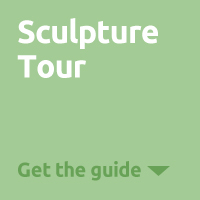 Join an experienced guide on the first Saturday of each month for a featured tour. 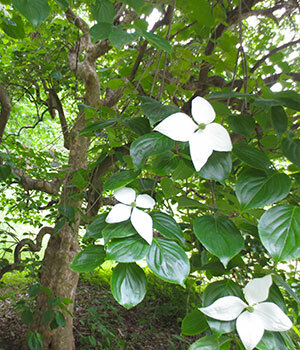 This month’s tour highlights the dogwood species in its many shapes and forms, and the artistry of tree barks. 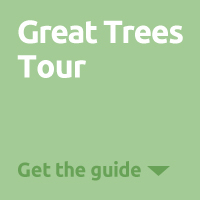 Guests will explore tree barks on many kinds of trees from all over the world – from beech, filbert, hickory, and lace-bark pine to noticeably different barks on the beloved dogwoods. 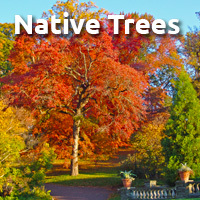 Learn more about the Arboretum's smaller specimen trees that make a big impact. 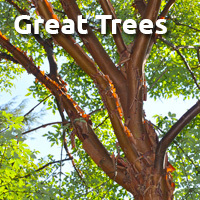 Ranging in height from 15 to 30 feet, these trees have many special features, such as spectacular bark, interesting forms, and great flower and leaf color. These trees, literally and figuratively, have been over-shadowed by the Arboretum's big trees, but are now getting a much deserved moment in the spotlight. 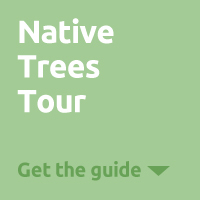 Whether you are interested in a virtual visit, or want some direction during your day with us, we encourage you to explore the Arboretum via these tours. 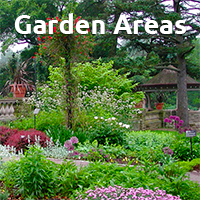 They highlight a range of areas, from art and architecture, to history, and our plant collection. Learn about the Arboretum’s history and be introduced to a selection of the plants and points of interest on our grounds. This 0.8 mile long route is wheelchair and stroller friendly. This route explores most of the paved paths of the Arboretum, highlighting key trees, structures, fountains, and more along the way. Parts of the tour are hilly and depart from accessible paths. This tour is 1.25 miles long, some parts are hilly and depart from accessible paths. Wander our grounds and get to know some of the finest specimens in our collection. On this 1.36 mile trail, most trees can be seen from the accessible paths, but others are best seen up close in grassy and hilly areas. Look for signage and labels to identify trees. 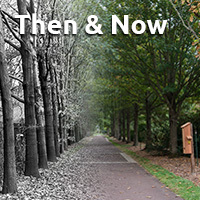 Bring the Arboretum’s past to life with this tour that enables you to compare images from our archives with those of the current day, and provides audio context about key sites in the garden. Most sites on this 1.36 mile trail can be seen from the accessible paths, while others are best seen from hilly or grassy paths. Mileage does not include Pump House near the Arboretum entrance. 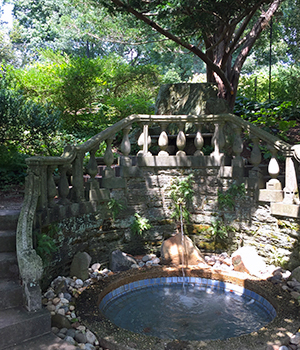 Magnificent garden displays showcase the region's best horticultural practices and plant selections while also featuring fine examples of Victorian and Asian inspired landscape architecture. Most sites on this 1.25 mile trail starting at the Rose Garden can be seen from the accessible paths, but others are along hilly or grassy areas. Some areas require use of stairs. Mileage does not include Magnolia Slope or Wetland areas near the Arboretum entrance. 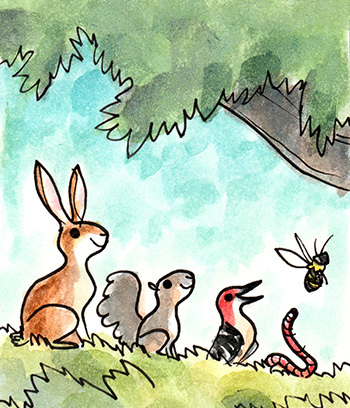 Native trees are well suited to local growing conditions and support wildlife. On this 0.85 mile trail, most trees can be seen from the accessible paths, but others are best seen up close in the grassy areas. Look for signage and labels to identify trees. 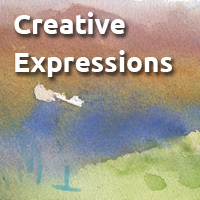 Experience the gardens through the perspective of artists who have interpreted the grounds through musical composition, choreography, painting, and poetry. This 1.29 mile loop starts at the trail underneath Out on a Limb and ends by the Log Cabin. Most sites can be seen from the accessible paths, but others require walking through grassy and hilly areas. Mileage does not include sites located near the Arboretum Entrance. 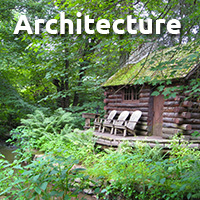 Built structures help tell the stories of how the site functioned historically as a farm and later as a private estate, and now as a public garden. Most sites on this 1.26 mile loop, starting at the Visitor’s Center, can be seen from the accessible paths, but seeing Gates Hall requires walking up a grassy hill. 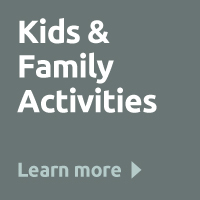 Mileage does not include sites near the Arboretum entrance or on the Bloomfield Farm side. Note that some sites are not open to visitors. Discover our many fine examples of public art that serve to complement the landscape and the plant collection on this 1.06 mile loop. Most sculpture can be seen from the accessible paths, but the sculpture garden is grassy and hilly. 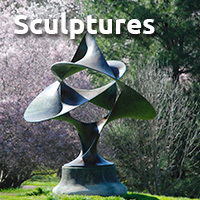 The mileage does not include the two sculptures near the Arboretum entrance. Grist Mill Guided Tours Please fill out our Group Tour Request Form and a member of our staff will contact you to arrange a date. The Springfield Mills at Morris Arboretum has been carefully restored and made operational once again by a dedicated group of volunteers. Come visit this 19th century mill and see how corn was milled for meal and flour. 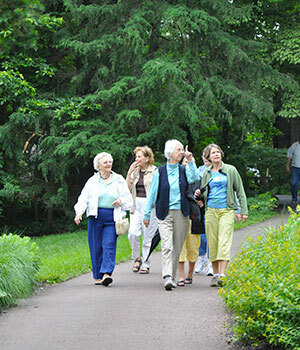 Parties of 10 or more can arrange for special tours of the Arboretum with 3 weeks’ notice. Please fill out our Group Tour Request Form and a member of our staff will contact you to arrange a date. 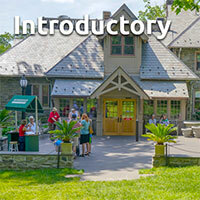 For information on student groups, field trips, or scout tours at Morris Arboretum please visit our Education section.